Our product range includes a wide range of Roofing Sheets such as AC Sheets, Asphaltic Corrugated Sheets, Color Coated Trepazoidal Roofing Sheets, RMP Sheets, FRP Sheets and GI Sheets. Fostered with a team of highly experienced professionals, we have been able to offer Asphaltic Corrugated Sheets that is used to cover the wide areas from extreme climatic conditions and provide shade to the user. 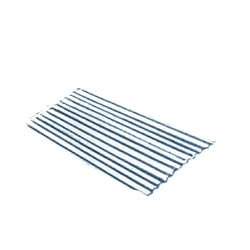 This corrugated sheet is designed and crafted under the direction of our skilled quality experts using finest grade plastic in line with the set industry parameters. 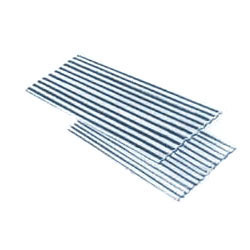 Furthermore, the offered corrugated sheets can be avail at industry leading price to our customers. We are highly commended name in the industry, engaged in offering an outstanding assortment of Color Coated Trapezoidal Roofing Sheets. Our offered roofing sheet is manufactured using quality approved raw materials with the aid of modern manufacturing methods in adherence with set industry norms. The provided roofing sheet is highly demanded for making roofing systems of various commercial, residential and industrial building. 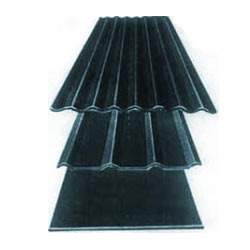 Further, we offer this roofing sheet in varied sizes and finishes as per client's requirement at affordable rates. Assisted by a team of highly skilled experts, we are offering an exclusive array of RMP Sheets. 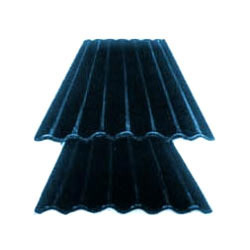 Offered sheet is made using the superior quality fiber reinforce plastic and modish techniques under the direction of diligent professionals. For making roofing structure of warehouses, factories and industries, the provided sheets are extensively demanded in the market. Our valued clients can easily purchase these sheets from us at the most economical price. 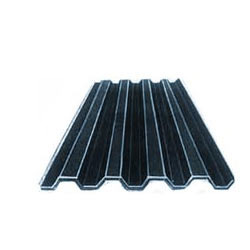 We offer our clients a wide range of FRP Sheets. We offer our clients a wide range of GI Sheets.